Please welcome Therapy’s newest hair artist, Dale Tu. Dale trekked all the way from Boise to join our Therapy team. While Dale may be new to Houston but he is no stranger to hair. He has years of experience in the industry and he has represented and educated for brands like Marcia Teixeira Keratin Treatment and Kevin Murphy. He was also a longtime member of Fusion Magazines Fashion Team. Be sure to say Hello and welcome him to Houston. To book with Dale please contact our front desk at (713) 355-4247. 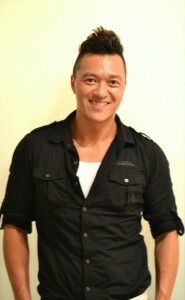 To read more about Dale check out his bio on our stylist page here.